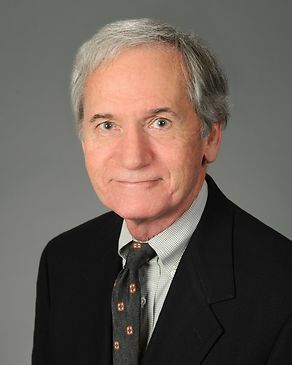 William D. Montgomery ("Bill") heads the Commercial Real Estate Practice Group in the Atlanta, Georgia office of the firm. His real estate experience reflects the growth, evolution and complexity of the dynamic metro Atlanta and southeastern United States real estate markets during the last quarter of the 20th Century and the first decade of the 2lst Century. Mr. Montgomery represents developers, owners, lenders and investors in connection with the acquisition, disposition, development, financing and leasing of a variety of real estate assets. Such projects include multi-use developments, residential subdivisions including several at environmentally sensitive locations, apartment complexes, office developments including high-rise, low-rise and medical office projects, retail developments, industrial and manufacturing facilities and hotel and resort developments. He has also represented MetLife Insurance Company in a variety of agrifinance transactions primarily located in middle and South Georgia involving large farming operations, timber operations and cotton gins. During the depressed real estate economy, he has worked with the firm's bankruptcy practice group to represent both developers and lenders, in and out of bankruptcy reorganization proceedings in a variety of distressed real estate related transactions. These involve complex multi-state, multi-asset, multi-creditor credit facilities and loans secured by single commercial projects. He has worked to restructure senior debt, mezzanine credits, construction and acquisition and development loans, to modify loan terms and collateral, to negotiate and prepare forbearance agreements, assignments of equity interests in lieu of foreclosure, deeds in lieu of foreclosure, asset reconveyances and to purchase and sell on a discounted basis debt instruments. Represented Church in negotiations with and sale to the Georgia World Congress Center Authority, City of Atlanta and Atlanta Falcons of the Church property required for Falcons New Stadium. Represented large land owner in the sale of 288 acres to a joint venture developing USA based movie and TV sound stages for Pinewood Studios, of London, England. Represented land owner in annexation and master rezoning by City of Fayetteville. Represent owner of 75 acre undeveloped tract in heart of Georgia 400/North Perimeter area in marketing and disposition analysis and implementation. Redevelopment and releasing for a Whole Foods anchored shopping center in the heart of Atlanta's high end Buckhead area. Represented developer in sale of a 1,000 acre North Georgia mountain residential golf course centered resort project. Represented a developer in the complex assemblage and development of an 80-acre 500,000 square foot regional retail mall site with concurrent sales to Kohl's and JCPenney. Represented Purchaser in the acquisition and construction of a proposed downtown hotel component of the retail, residential and hotel/condominium project. Represented Sellers of a midtown retail center to a national developer for a rezoned and redeveloped mixed-use complex. Represented manufacturer/owner in the expansion, acquisition and refinancing of a lighting manufacturing facility from Development Authority originally financed with industrial development bonds. With construction partners and in-house general counsel, represented national apartment developer in the settlement of construction disputes with master developer and contractor by disposition of four (4) out of six (6) mid-rise apartment buildings. With bankruptcy group, represented regional residential subdivision developer and residential builder in restructuring debt with various lenders having collateral in six (6) states. With bankruptcy group, represented regional condominium, hotel, retail and mixed use developer in restructuring mezzanine finance credit facility. With construction group and in-house counsel, represented general contractor in the settlement with large church in the payment of $2,000,000.00 in unpaid costs secured by the church's new facilities. With condemnation counsel closed motel refinancing midstream in condemnation litigation value impairment dispute of lender’s collateral. Are Atlanta’s Development Doldrums Over?